NEW YORK -- The government shutdown could delay NASA's goals and cost taxpayers money, according to one former astronaut. Although a skeleton crew will support the astronauts on the International Space Station from the ground, important science and spaceflight missions that need funding and attention are threatened by the ongoing government shutdown, said Tom Jones, a veteran of four spaceflights. About 97 percent of NASA employees have been sent home as a result of the shutdown, which took effect at midnight EDT on Tuesday (Oct. 1) when the Senate and House of Representatives failed to agree on an emergency spending bill. Fewer than 600 of NASA's 18,000 employees are able to work while the shutdown continues, according to the space agency's government shutdown plan. The remaining few are safeguarding the health of space station astronauts and maintaining scientific spacecraft that are currently operating throughout the solar system. However, work has ceased on most projects that have yet to leave the ground, to the frustration of Jones and many other exploration advocates. "We have all of these vehicles in development like Orion and the Space Launch System [rocket], so that's going to cost taxpayers big bucks to lose the momentum [and] to pick up the pieces from a stalled program where decisions should be being made every day," Jones said. NASA's Jet Propulsion Laboratory (JPL) in Pasadena, Calif., remains open for now, because it's run by the California Institute of Technology. But JPL will be reassessing the situation each week to see how long the famous facility can keep going during the shutdown, officials said. 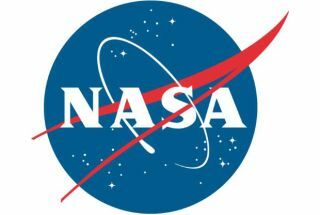 The websites run by NASA are down or will not be maintained during the shutdown, and social media accounts used by the space agency will not updated until the government re-opens for business. Earlier this week there was some concern that Maven, NASA's next Mars probe, would not get off the ground on time due to the shutdown. Indeed, preparations for the Nov. 18 launch stopped for two days as soon as the shutdown came into effect. Those fears were abated Thursday (Oct. 3), however, when Maven mission principal investigator Bruce Jakosky of the University of Colorado, Boulder wrote a status update saying that the mission was granted an emergency exception and can once again gear up for liftoff. "We have already restarted spacecraft processing at Kennedy Space Center, working toward being ready to launch on Nov. 18," Jakosky said of the $650 million mission. "We will continue to work over the next couple of days to identify any changes in our schedule or plans that are necessary to stay on track." Follow Miriam Kramer @mirikramerand Google+. Follow us @Spacedotcom, Facebook and Google+. Original article on SPACE.com.